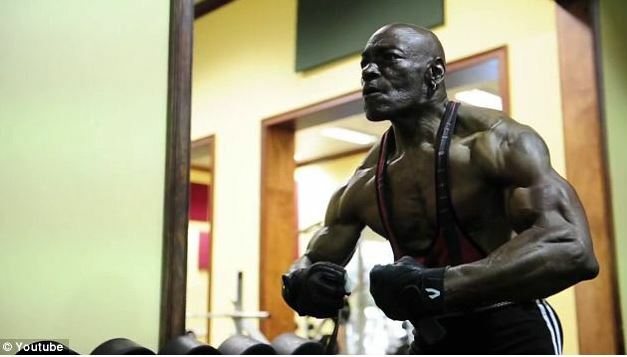 With a body that puts most men half his age to shame, Sam “Sonny” Bryant Jr.’s rippling physique is testimony to years-long hard work and dedicated commitment. Sam started working out when he was 44 years old. The muscular physique and strength he has achieved is awe-inspiring (he deadlifts 405 pounds at a body weight of 176 pounds). Bryant wants to prove that living a full and active life is possible at any age. All you need is the right approach, he says. Bryant’s diet typically is a dry waffle or scrambled eggs with well-done bacon at Waffle House after he gets off work at 6 a.m. before hitting Gold’s Gym. He might not eat again until after his second workout of the day on his way to work at 10 p.m., which might be a piece of lean meat or sweet potato fries from Burger King. Bryant says he maintains muscle by religiously taking vitamins and 180 grams of protein supplements every day. 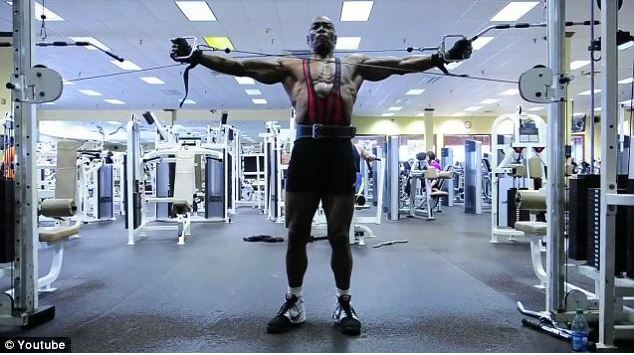 Charlie Carollo, the vice president of the amateur International Natural Bodybuilding & Fitness circuit and the professional World Natural Bodybuilding Federation, said bodybuilding among older Americans is growing rapidly. Years ago, his competitions offered only an over-40 class, but he had to add over-50, then over-60, divisions as interest grew. “I think people are more concerned about their health and realized that with exercise and dieting and not going insane about it and putting everything in perspective, there are benefits to doing this,” Carollo said. Sam ‘Sonny’ Bryant, Jr., from Georgia, has been bodybuilding for 27 years. He is 5-foot, 10-inches and 176-pounds. He Works out twice a day to build his body. He took up the sport to relieve the stress of a painful marriage break up. He says he’ll never retire: ‘More people die retired than people do working’.